Green House Tomatoes. Oh, so tasty! Farm News: We have discovered vine borer and it is very evident in most winter and some summer squash. The plants looked healthy (most still do and are forming squash) however others look wilty (we thought heat induced) but never bounced back. So what does that mean for this year’s winter and summer squash availability for the CSA? Butternut has proven to be a very hearty plant, and hopefully acorn too. We decided to cut openings into the stems (with a razor) of the acorn and inject them with BT, which is a bacteria in the soil which kills the borers/loopers. BT is approved by the Organic Standards, so we feel this is the best way at this point to attempt to save the Acorn Squash. As for the other 4 varieties we planted of Winter Squash (Guatemalan Blue Banana, Potimarron, Spaghetti, Delicata) all will be pulled and burned ASAP, the stems are basically rotting. The vine borer feeds its way into the stems of the squash and steals the nutrients from the plant, which results in dying off of the plant. We have painfully learned that we need cover them with row cover at the time of planting and to closely monitor stems in June, which is when they establish their residence in the squash. Nonetheless, we are very grateful that we practice crop rotation and that we have about 35 different crops we grow. Saturday, July 30 from 10-1:00 we will be a part a Local Farm Tour which the Twin Cities Coop Partners have organized, as a way to bring folks out to meet Local Producers. Come on out, rain or shine, and dress for the weather. Bring a drinking container as we will offer a refreshment. Guided tours on the hour. 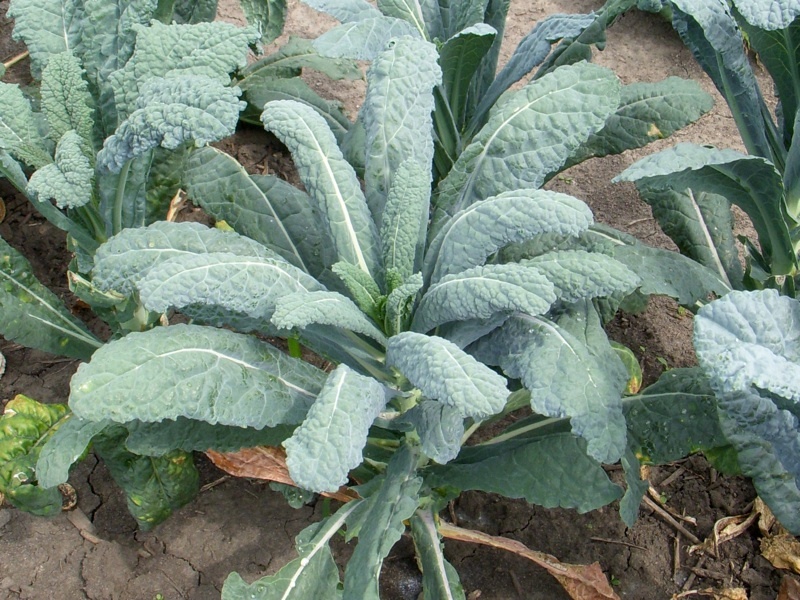 Kale is a member of the cabbage family and very nutritious. Google the internet for “kale chips” and find a wonderful, surprise recipe. I hear it goes well with beer when shared with neighbors in your backyard. 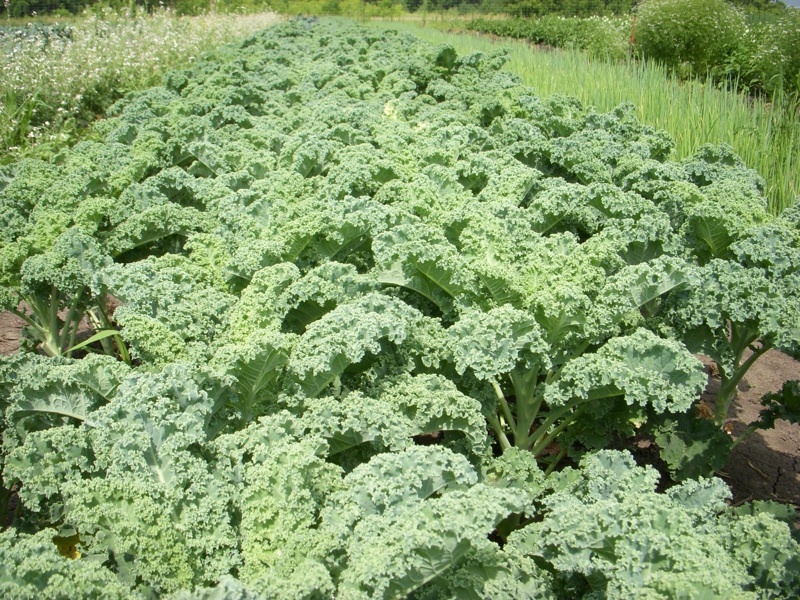 Pictured above: Lacinato Kale. Farm News: As we approach week 6 of 18, we are also mentally preparing ourselves for the sauna like temps and hopeful for a breeze when we go to harvest. The summer crops are going to love the heat, which also means that there will be more color in the harvest boxes. Some watermelons have fruit the size of a tennis ball, and the tomato and pepper plants in the field are looking amazing as well! 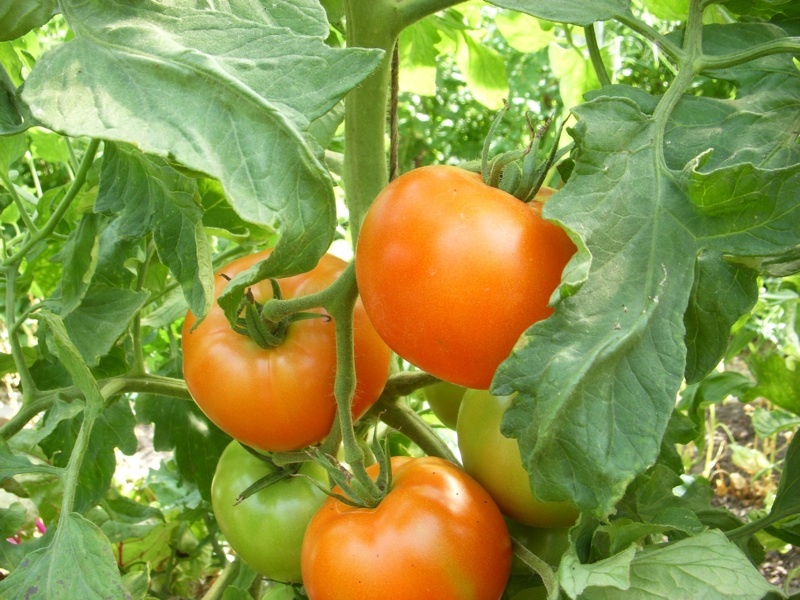 The greenhouse tomatoes are full of fruit, and soon there will be plenty for us to include in the CSA share boxes. This past week we were only able to send green beans on Monday due to the rain on Thursday. Harvesting green beans when they are wet can spread a disease known as rust. The peas for the season are cashed out; the heat caused the peas to turn quickly. We hope you enjoyed the sugar snap peas as much as we did! 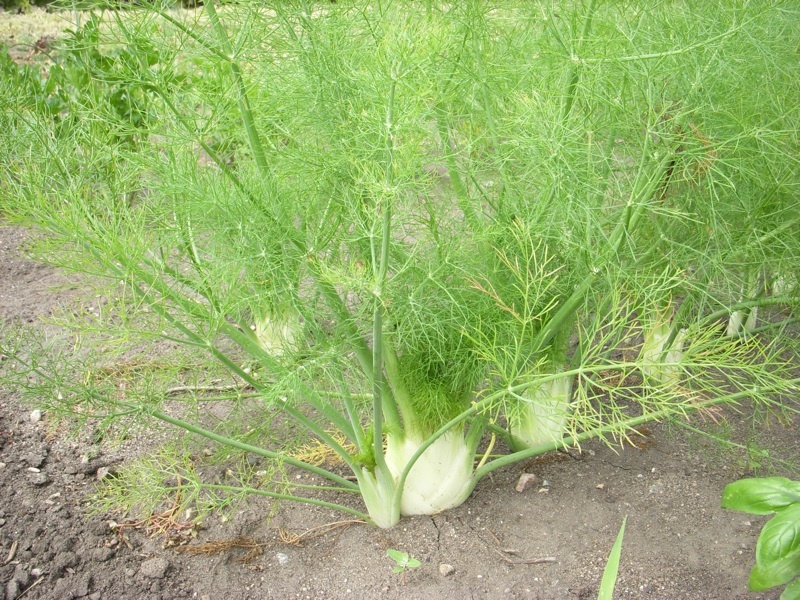 Use Fennel in Recipes that call for celery. Farm News: It has definitely felt like summer at the farm lately. Warm temps, high humidity, virtually no wind, and lots of bugs have made it feel like we are working in a rainforest. We are in what I like to call the transition period. We are transitioning out of the greens and are moving on to the summer crops. New this week are potatoes, carrots, beets and green beans. And it looks like next week will come the tomatoes, cukes, and zukes. Last but not least, as we did in 2010, we are pleased to be able to sell produce/herbs to River Rock Café and to The Food Coop (produce and deli)!!! The garlic bulb grows below the ground. The above ground green part of the plant is the garlic scape. It is rather sweet and has just a hint of garlic taste. 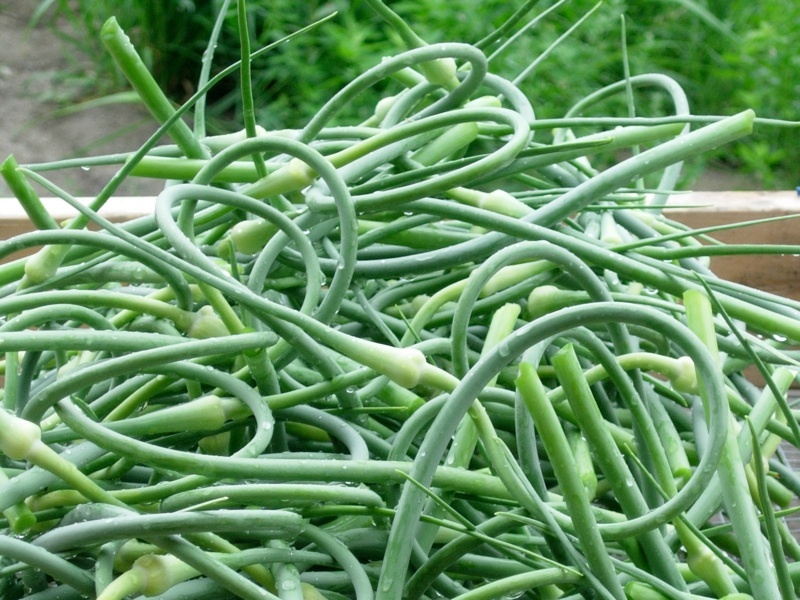 Pictured above: garlic scape. Thank goodness we had ¾ of an inch of rain Thursday evening! The plants appreciated the drink as much as we did since we continue to water by hand if Mother Nature holds off on timely rainfalls. In the future we will install drip tape irrigation, until then, the hoses work great. Last years newsletters had to be removed from the website due to some limitations they were causing when trying to view the site. Each week continue to check the website for weekly 2011 newsletters.